Have you guys seen the ending to the new season of Always Sunny in Philadelphia? That always got me. When Mac does the interpretive dance to come out to his father, I am in absolute tears. If I took the “Don’t Cry” challenge, and that scene came up, I would absolutely lose. Same for clips of Toy Story 3, or inspirational video of people meeting their dreams when… sniff sniff… sorry, there’s something in my eye! And when you’re a teen, buddy, you’re just full of feelings, you know? Thus, enter the Fine Bros with the “Try Not To Cry Challenge”, as teens, famous and not, watch videos that frankly… get the old waterworks going! The first clip was of a kid seeing his dad in the military again in front of a mass audience, as the dad talks about his family’s struggle. That clip got a few people, but mostly got meh review on the old sadness scale. Not a completely fair to judge a moment, but hey! That’s the game we’re playing, folks! The next clip will more than make up for the controversy of the first one by being straight up the ending to Toy Story 3. I mean, it feels like that movie, along with up, was invented to scientifically separate individuals from their precious tears. And boy does this one do the trick! The teens are amazed at just how easily sad it makes them! Teens! Let the tears flow! Teens!!! The next videos include acts of kindness concerning a cake (and look, I teared up during this! 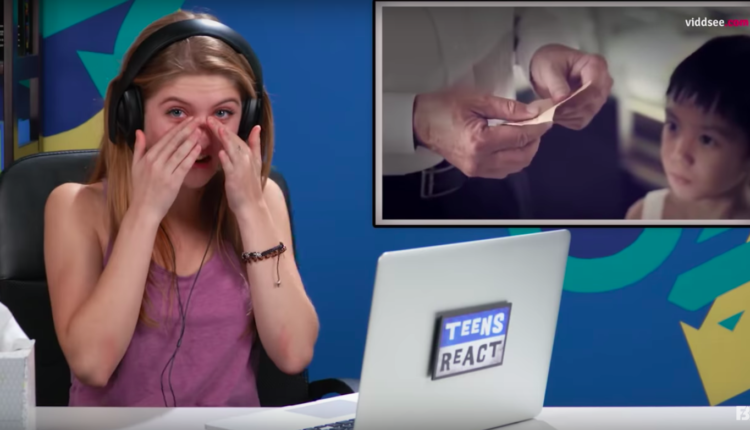 I did not try not to cry hard enough), seeing someone dealing with the death of a parent (which got the most points), and ends with the damn teens cutting a damn onion! Oh the tears! Let them flow!